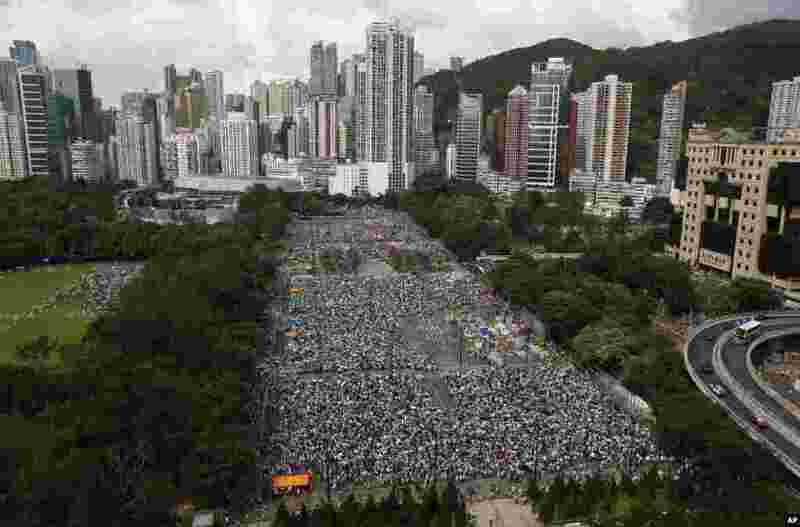 Tens of thousands of Hong Kong residents marked the 17th anniversary of the handover of the city from Britain to China today by marching in protest of the Chinese government. 1 Hong Kong residents march through the streets of the former British colony carrying umbrellas during a protest to push for greater democracy, Hong Kong, July 1, 2014. 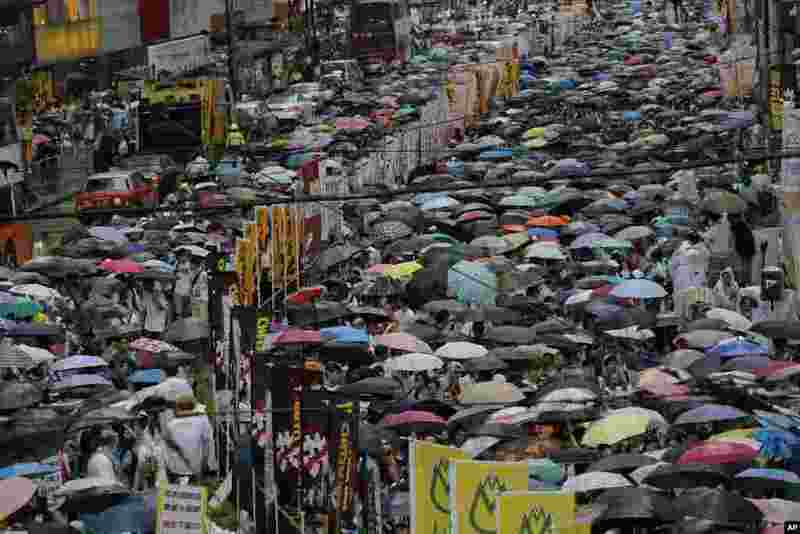 2 Tens of thousands march in downtown streets during a pro-democracy protest in Hong Kong, July 1, 2014. 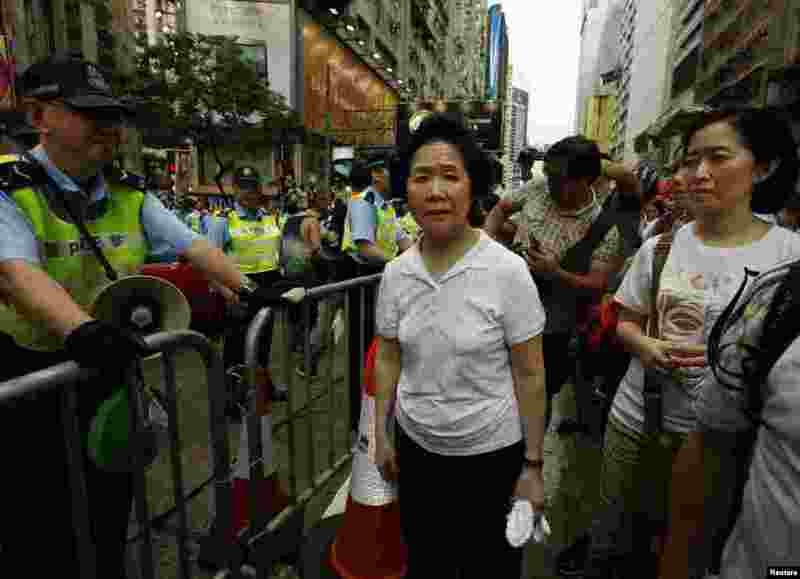 3 Former Hong Kong Chief Secretary Anson Chan (center) looks on beside a police officer as she joins thousands of protesters during a march to demand universal suffrage in Hong Kong, July 1, 2014. 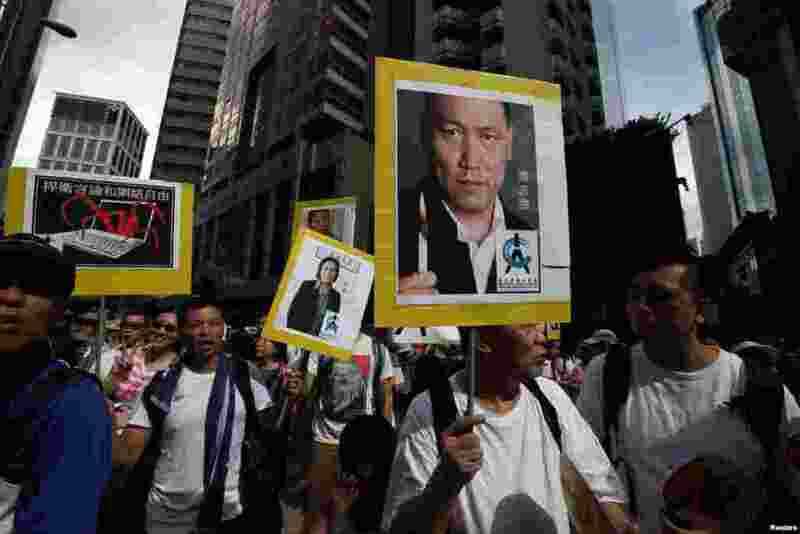 4 Protesters carry portraits of detained Chinese human rights lawyer Pu Zhiqiang (right) and mainland journalist Gao Yu as they join tens of thousands of others during a march to demand universal suffrage, Hong Kong July 1, 2014.